The beloved location of our first HQ and warehouse. 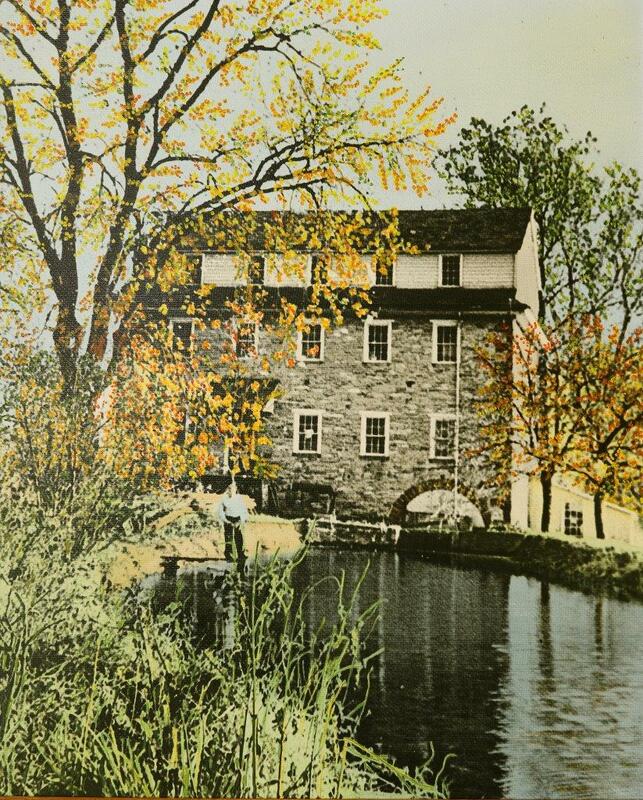 An early black and white photo of Sycamore Mill, retouched in color, shows the building with the third story and the millrace intact; note the “green” sycamore tree rising up behind the building. The venerable old building we call “Sycamore Mill” has gone by many names, and has housed many businesses in the quarter millennia since it was originally founded. The mill began as a wood structure that pre-dates its earliest recorded deed transfer in 1762. Known to many as either the “Clay Mill,” for the township of Clay in which it stands, or as the “Erb Mill,” after the family who owned and worked the mill across several generations from their purchase of the mill at auction in the mid-1780s until an Erb descendant sold the property on April 5th, 1869. Stories vary, but it seems the new owner, Michael S. Eberly, “demolished the Erb mill, a two-story building, and erected the dignified structure,” which now stands in about 1875. Business functions ranged from grist mills, to a saw mill, to Clay Feed & Supply, after which it was converted to an electrified textile mill by Harold J. Whitcraft who purchased the property in 1959. Eventually it became a residence, a storage facility, and, since being reclassified as a commercial property it has housed a print shop, offices, a fine art studio, a photography studio, and, now, Peak Bamboo’s warehouse. Sycamore Mill is a beautiful limestone structure, with distinctive sandstone quoins, and a sturdy wood interior, nearly all of which is original to this incarnation of the building. Our name pays homage to the massive sycamore tree that stands behind the mill in every known photograph of the building. That tree was much smaller in girth in the early 1900’s, but already it towered over the mill. Also of interest, the creek which bounds the current property, and which is called the Middle Creek on modern maps, was once known as the “Legawi” stream, according to some documents. 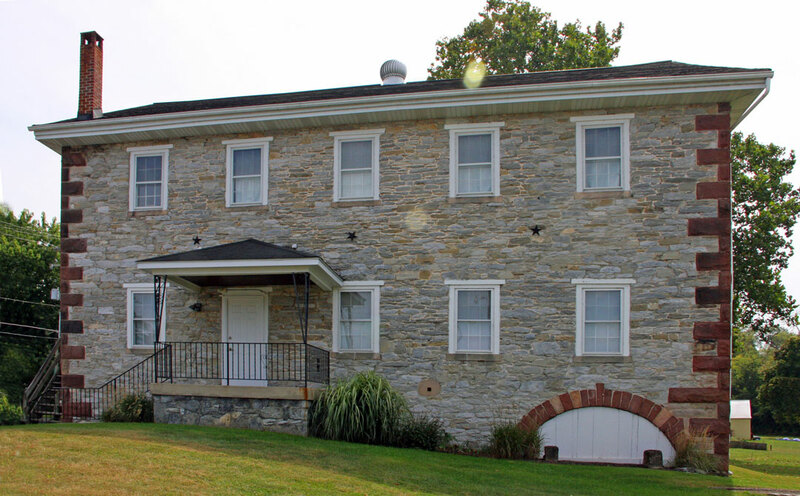 The Pennsylvania Historic Resource Survey Form, dated August of 1983, was compiled by the Bureau For Historic Preservation and it offers a paragraph devoted to the “history, significance and/or background” of the mill house. Sometime before the Revolution, a frame grist mill was built on or very near this site for Peter Weiland. The property was purchased by Jacob Erb in 1787. He moved the frame mill, and converted it into a school building. (It is believed that this frame building is no longer in existence.) In 1787, a two-story stone grist mill was built here for Jacob Erb. In 1841, Hiram Erb, the grandson of Jacob Erb, enlarged the mill with a new saw mill structure. In 1871, the property was sold to Michael S. Eberly. He installed turbine wheels, and also added a third story. This was reputed to have been one of the first mills in all of norther Lancaster County using turbine powered machinery. The mill ceased operating in the early 1920s. … It is believed that the top story was removed or reduced in height some years ago. Now the mill serves residential functions, although it is presently rented for the storage of antiques. This quote, and the paraphrased information in this paragraph, were taken from Transparencies, Reflections, Light: Photographic Views of the Cocalico Valley; Produced by The Historical Society of the Cocalico Valley; 2008.